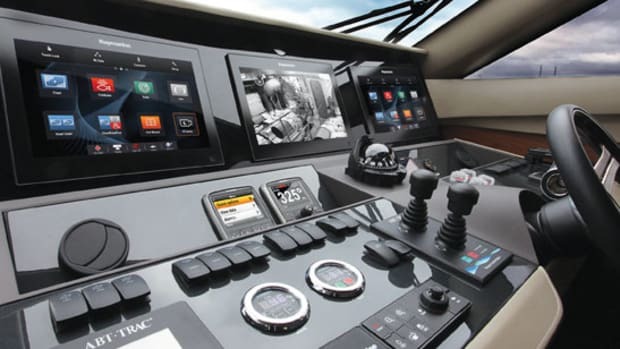 The U.S. Coast Guard is updating its helm electronics. The Coast Guard wanted electronics that adapt to its needs. Since we learned in February that the Coast Guard had awarded Raymarine a contract to outfit its fleet of more than 2,000 small boats with helm electronics, I have been curious about what that service would require of its new system, both in its capacity to keep us safe on the water and as part of the Department of Homeland Security. 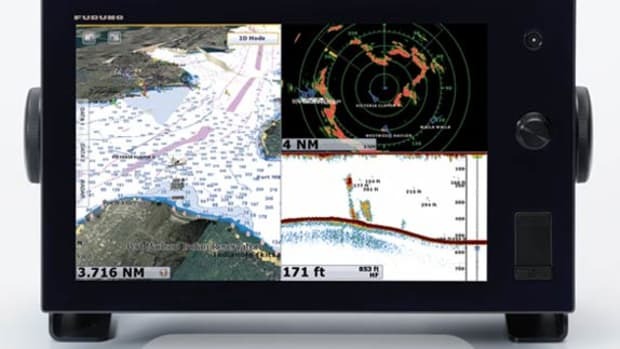 Raymarine, you may recall, was acquired by FLIR, the manufacturer of thermal-imaging sensors and systems, in 2010, and I wondered if FLIR’s experience in writing proposals for government contracts was a great help to Raymarine’s effort in this instance. After all, FLIR has managed to put its tools in the hands of representatives of nearly every level of government, from local law enforcement on up. “If anything, the FLIR guys said they were going to get pointers from us [for the next time they needed to respond to an RFP],” says Mark Garland, product manager for multifunction display software and charts. “This Coast Guard rollout might be really only 200 vessels a year, and eventually sweep through and transition the rest of the fleet. This opportunity to serve the USCG and have that presence on the water may help us develop things that are not just unique to the Coast Guard, but are also going to help us introduce new situational awareness and safety features for consumers as well.” That seems like a noble goal, but wouldn’t consumers in the U.S. benefit more if the service equipped its boats with systems from multiple manufacturers? Turns out the answer is no, since personnel need to go where the service needs them. Meaning: So to be trained on Brand X system and then—in addition to getting accustomed to a new commanding officer, crew mates, housing situation—on top of that also having to learn to use a Brand Y unit ... that’s a lot to ask. Best to standardize the system and have something be consistent. 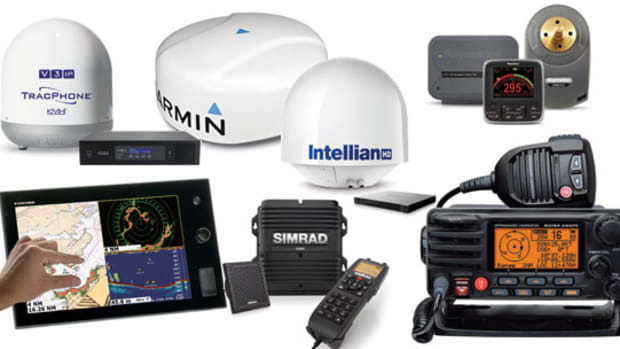 The Coast Guard will use Raymarine eS-Series MFDs, among others. 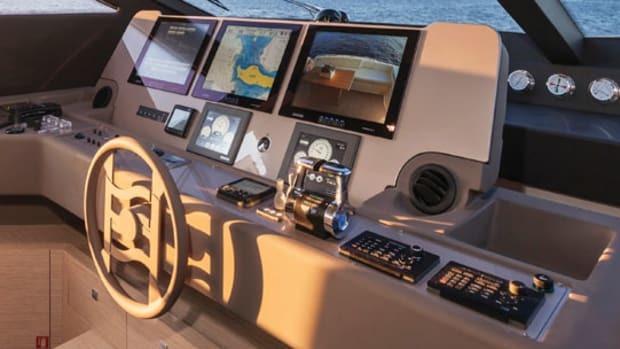 Raymarine’s system bridges the interface between the user and the Ships Inertial Navigation System called SINS-2, and the system developed for the recreational market is the basis of the system. 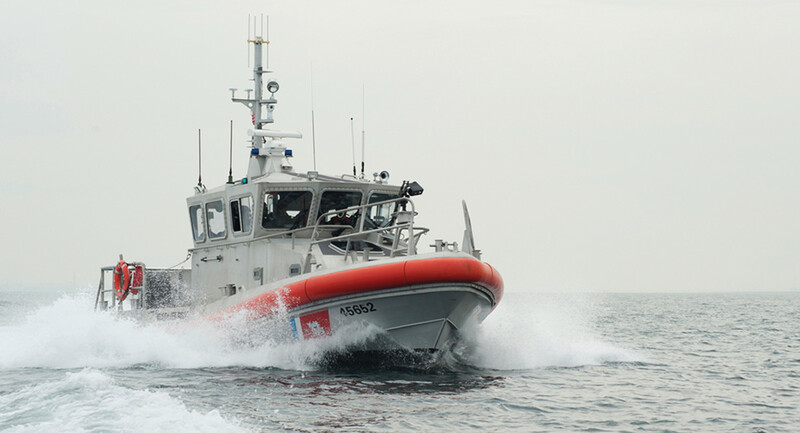 “The SINS-2 system will provide the primary navigation system on board USCG boats and provide additional radar capability on board USCG cutters,” says Lisa Novak, public affairs officer for the U.S. Coast Guard. 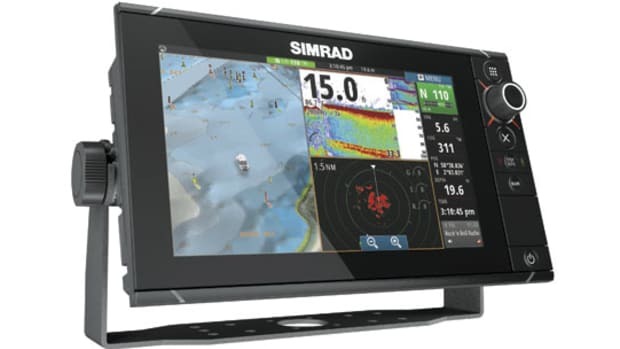 SINS-2 will be installed on an estimated 2,056 vessels which includes 54 different class vessels over the next 10 years.” The Coast Guard will use a combination of Raymarine a-Series and eS-Series units, ranging from a67 to eS127. The size varies depending on the vessel. The units will be running a highly customized version of the LightHouse operating system that Raymarine has developed for the Coast Guard. 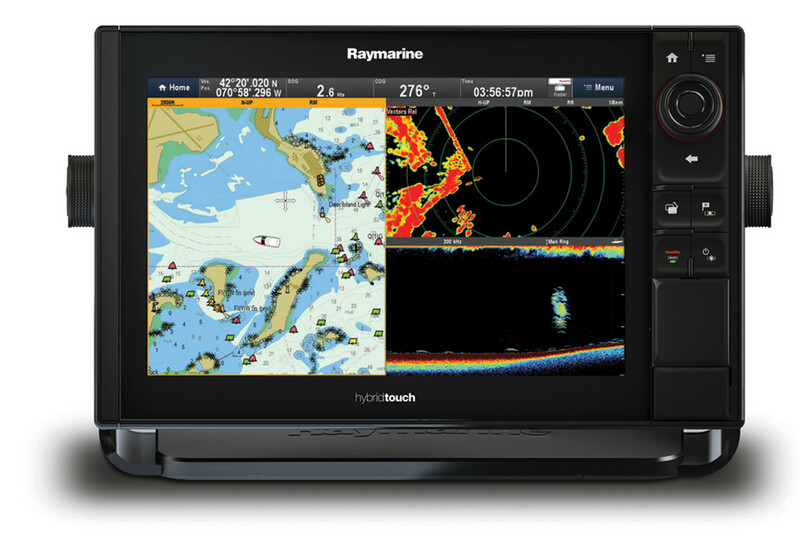 But Raymarine went a step further. 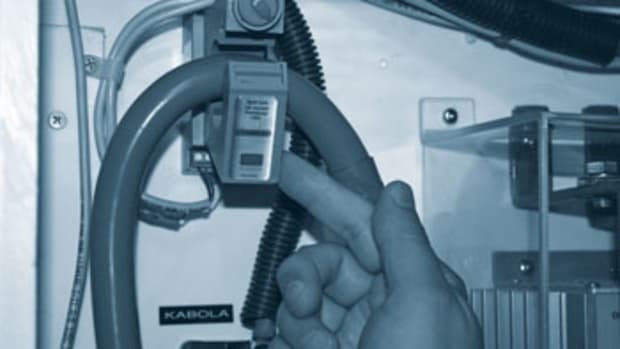 Beyond just accepting the search-and-rescue parameters, they set up the AIS system to transmit and receive what type of search and link the pattern directly to the MFD, so the electronics can create the route with minimal added input from the boat crew—reducing the potential for operator error. The Coast Guard seemed to like what it was hearing, based on the resulting contract. 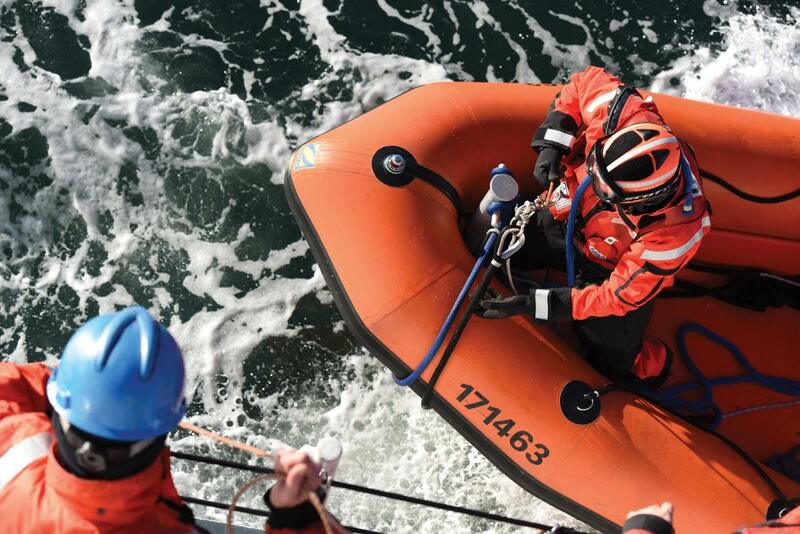 Keep in mind, communications in the conditions the Coast Guard operates are not always simple. Garland cited reports that smallboat crews on the radio would write search coordinates on the windows with a grease pencil, then transcribe them into the plotter. “We responded that we could exceed the requirement with this technology or this solution, using AIS as part of the integration,” he says. “If they chose a target of interest in search-and-rescue parameters, that is just the first use of encrypted AIS beyond the original scope of the system, which is an encrypted form of communicating our boat icon and identifying which AIS targets are blue vessels in the area.” Blue vessel is the layman’s term for identifying boats using law-enforcement-only encrypted AIS, which carries details that could endanger first responders in antiterrorist or drug interdiction missions, were they accessible to all. The Coast Guard employs a range of small craft in various missions. But keep in mind, some of us want to be as helpful as we can, and Raymarine’s development team understood that. 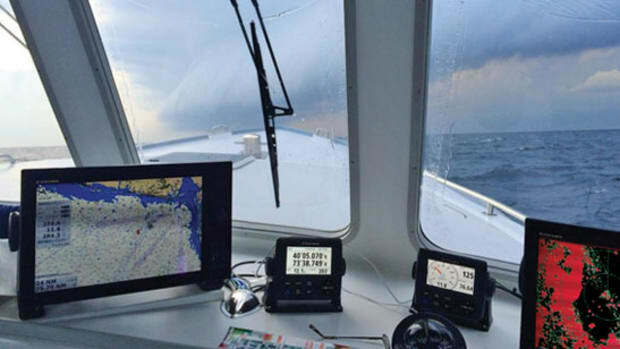 “That was something the Coast Guard got from Raymarine: How willing we were to work with them, but also how quickly we could implement things,” says Jim McGowan, marketing manager for FLIR Maritime. “If you go back and look at the Lighthouse software that we’ve been shipping on our eS Series for the last several years, right back around Lighthouse releases 9 and 10, you see the tracking is in there. It’s in every eS MFD. You just had to have the right hardware to use it. 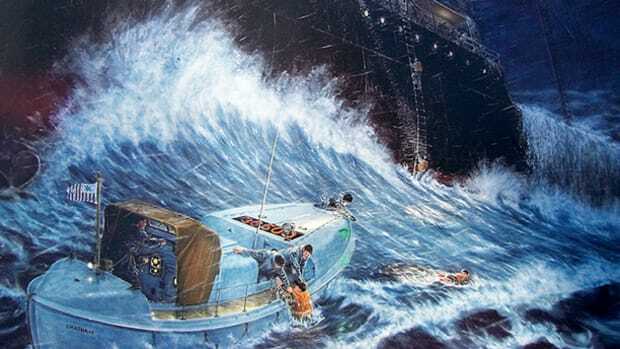 And so when the Coast Guard said we’d love to have the standard search patterns in the MFD, we said, ‘Not only could we do it, we did it and we rolled it out.’ So every Raymarine Lighthouse II machine had that software, and it could recognize those search-and-rescue patterns. 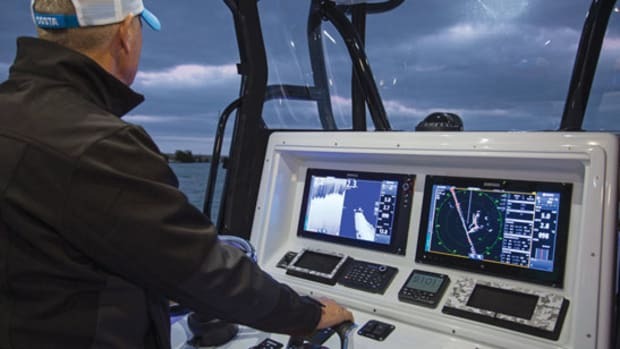 It’s not inconceivable that some civilian vessel or commercial fishing boat that’s fitted out with Raymarine could be the first vessel on site in some kind of search-and-rescue operation and have that capability to actually acquire a SAR pattern. It’s not terribly difficult to do and we kind of use the MFD interface to explain what parameters you need to know. So a customer could be the first person on scene and could actually start searching for someone in the water. The tools are there in the MFD to do it so they could even assist the authorities.” Having the willingness to help save lives may now be coupled with the tools to use the methods the Coast Guard employs. It makes sense to have the ability to mobilize the commercial and recreational fleets to aid in search-and-rescue efforts, and with the proper tools, the effectiveness of those searches is heightened with the help of technology. And if software updates continue the way they have from all electronics manufacturers to improve performance, cooperation between first responders and civilian assets may just continue to grow.